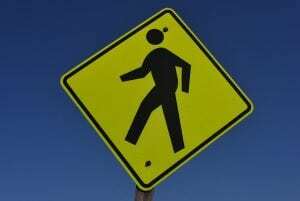 Newburgh, NY (April 9, 2019) – A man has been reported to be in serious but stable condition following a pedestrian accident with a motor vehicle that occurred on late Saturday night, April 6th. According to police, the man was struck and seriously injured by a taxi cab at approximately 11:15 p.m. The police were reported to have received a call concerning the accident which happened in the vicinity of 780 Broadway. 38-year-old Juan Solis was struck by a yellow taxi cab being operated by 52-year-old Bruce Minter, of New Windsor, according to police. The events that led to the collision have not been determined at this time. Authorities stated that Solis was unresponsive when medical crews arrived at the scene and subsequently transported to St. Luke’s Cornwall Hospital. Minter was stated to have remained at the scene where he cooperated with police and no charges have been filed. The accident remains under investigation. Our most genuinely sincere sympathies are wholeheartedly extended to Juan Solis, first and foremost, as we maintain hope for his full recovery. Pedestrian accidents in New York are commonly injurious or fatal because there is no protection between a vehicle and a pedestrian. At this time, it is important for the victim to know that they may have rights regarding compensation. Our New York accident attorneys at Hach & Rose have devoted their lives to assisting those who have suffered due to the actions of a negligent party or other entity. We understand that there is nearly nothing as overwhelming as a sudden injury, and we are here for you 24/7 to answer any questions you may have. If you or a loved one has been hurt in a New York pedestrian accident due to no fault of your own, please do not hesitate to call 212-779-0057 today.